When Dante mentions he and Lulu aren&apos;t Connie&apos;s biological parents, Lulu isn&apos;t worried about losing the baby. She reminds him Maxie told them they could keep Connie. Dante feels Maxie said it in the heat of the moment, but may change her mind. He thinks they need to be prepared for anything. Jerry reminds Robin if she finds him a cure, he’ll let her go. Robin figures he’ll kill her either way, and wants assurance he’ll let her go unharmed. Jerry tells her to take his word for it. Dr. Obrecht arrives with Ben, and Jerry is angry she kidnapped the child. He knows the authorities will soon follow her. Liesl covered her tracks, and believes she won’t be found. However, she needs a babysitter and wants to use Robin. Jerry doesn’t want to distract Robin, but Liesl is determined. Emma wonders why Patrick isn’t wearing his wedding ring, and he admits he removed it. He stresses to Emma that Robin still has a place in his heart. Sabrina receives flowers from Carlos, and she is not amused by his gift. Maxie tells Felicia and Mac the truth about the baby. Mac understands why it was so hard for Maxie to let her go. Maxie thought she was making the right decision, and admits she confided in Frisco. Felicia is angry with Frisco, but Maxie places the blame on herself. Mac wants Maxie to claim her child, but Maxie doesn’t want to force Lulu and Dante to give her up. Spinelli updates Ellie on what happened at the christening. Ellie wonders if Brad did the right thing, and maybe it’s time for Spin to claim his daughter. Spinelli doesn’t want to hurt Lulu and Dante, but Ellie reiterates he’s the baby’s father. Spin admits Maxie wants the baby back. Anna tells Britt and Nik that Dr. Obrecht managed to get out of the country, and covered her tracks well. She asks if Ben’s father has been told, but Britt explains the father is just a donor. Anna believes they need to wait, and understands Britt’s fears because Robin was taken once. Anna promises to bring Ben back. Robin watches the DVD and sees Britt announce she’s pregnant with Patrick’s baby at The Nurse&apos;s Ball. Then, Dr. Obrecht comes in with Ben, and tells her it’s Patrick’s son. Robin doesn’t believe her, but Liesl is convincing. Robin wonders how much Britt is involved, and if she knows Robin is alive. Liesl admits Britt can’t be trusted, and would have told Patrick about Robin. Liesl wants Robin to take care of the baby, because Ben is important to her plans. Maxie promised Lulu a baby, but Felicia points out Connie is her child. She warns things will never be right if she doesn’t claim Connie. 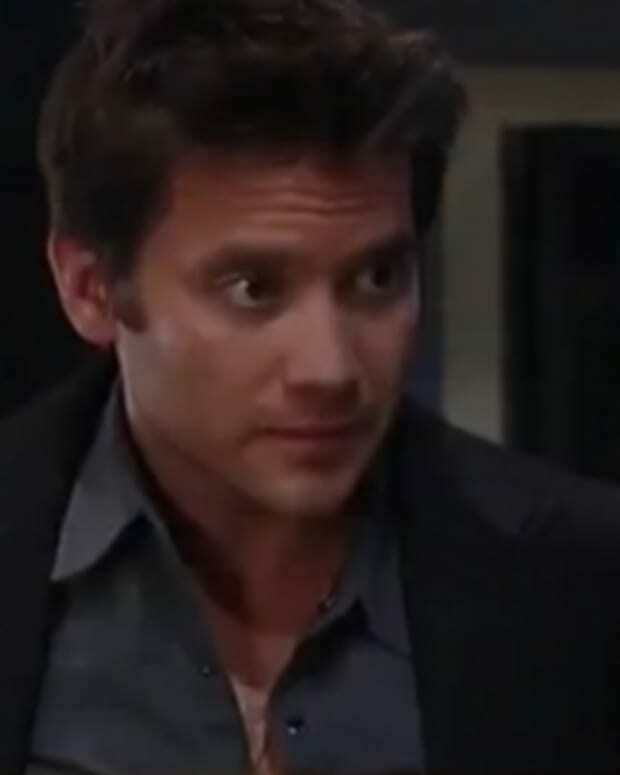 Maxie doesn’t want to destroy Lante. Felicia suggests they get Kevin’s advice. At the hospital, Maxie runs into Spinelli, who admits he wants their daughter back. Maxie wants the same. Lulu decides they should legally adopt Connie, and officially make her their daughter in the eyes of the law. This way, Maxie and Spinelli can’t take her. Britt and Nik run into Patrick and Sabrina, who are shocked to hear Dr. Obrecht kidnapped Ben. Mac gets a call from Holly, and informs Anna that Robert has woken up.